Every plan sheet, on every project, is different. But, we’ve made managing these sheets easier than ever. With custom indexing, you tell us where to find the important info for your large format construction plans. 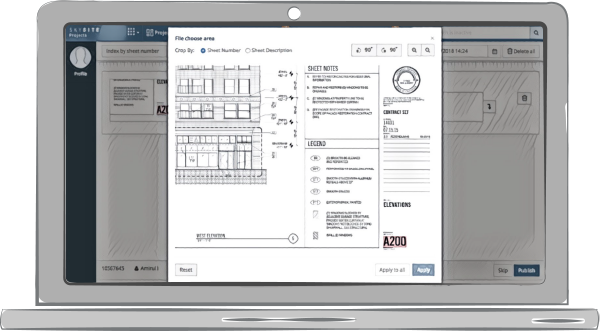 Every architect and engineer uses a different title block layout, but SKYSITE’s custom indexing tool lets you tell us where to find the sheet name and sheet description. Additionally, you can specify whether that text is vertical or horizontal. Hey, we know building is complicated, which is why we work hard to make managing your construction documents simple. Set it to read text either vertically or horizontally. Index by sheet number or by file name. Don’t compromise to someone’s process. Index your way. Get SKYSITE today.